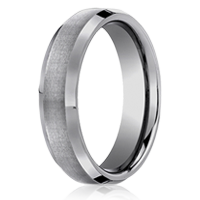 Save & Buy Your Wedding Rings Online from AWB & Co.
Cobalt rings will forever look as good as the day you say “I do” with its unique strength that can only be matched by your love. 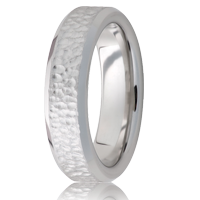 Specially made for wedding bands by Jewelry Innovations, Vitalium™ Serinium® is 3 times harder than Cobalt and Stronger than Tungsten Carbide. 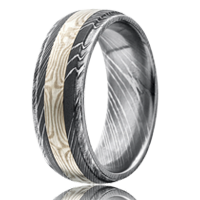 A unique blend of up to 120 layers of diiferent types of metals bring a style never to be duplicated with Damascus Steel wedding bands. 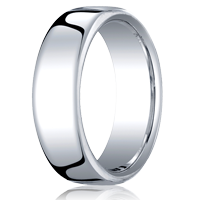 Considered the King of Precious Metals, Platinum is one of the most majestic metals you can wear as your wedding ring. Ever since marriage began, gold has been central to its celebration as the original symbol of love and commitment. 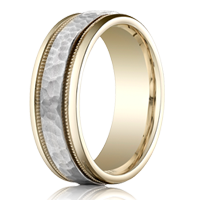 Named after the Greek goddess Pallas Athena, palladium shows your wisdom in choosing each other and the new found strength in your marriage. 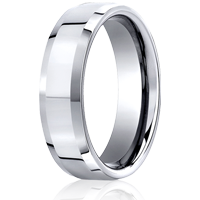 Shop for a selection of contemporary wedding bands for men and women and get superb quality at affordable prices. Buy wedding rings online and choose from classic or contemporary styles, diamond, gold, engraved bands and more. You can't beat this quality and price, shop now!